With the help of his mechanic buddy, an engineer, and the company's attractive new publicist, an automotive test driver struggles to develop a new carburetor by entering cars in the Indy 500 and speed trials at California's Muroc Dry Lake. Curly: How much English does this doll understand? Curly: Pretty soon I'll have to spell out things to you. Joe Krozac: Yeah, if you could spell. An entertaining gangster film with a "twist." 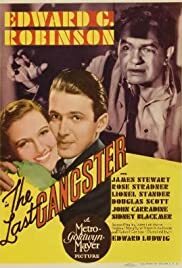 I saw "The Last Gangster" (1937) for the first time last night (7/18/2006) and found it to be a fairly entertaining film. Edward G. Robinson's acting,as per usual in gangster movies of this type, carried the film. 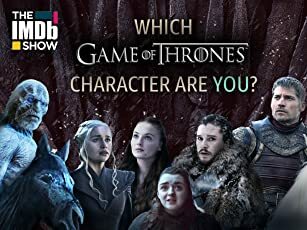 It had its weak moments (like Rose Stander's acting) and its unlikely moments(like the final shooting scene), but it remained fairly entertaining just the same. There was one rather strange item about the film. One of the 1930s more identifiable "bad guy" actors (Edward Pawley) appeared only briefly in this film (in the scene where the mob tortures Robinson's character)and didn't have a single line of dialog! I found this rather odd after having seen Edward Pawley play featured roles such as: Public Enemy Number One in "G-Men", the head of a gangster mob in "King Solomon of Broadway", a crazed and rebellious convict in "Each Dawn I Die", a prominent gangster in "Smashing The Rackets" and in "Eyes of the Underworld", Bogart's bad-guy partner in "The Oklahoma Kid, et cetera. Perhaps this lends some additional credence to what some critics have claimed to be poor directing of this movie. Perhaps, also, the fact that there was no love lost between Robinson and Pawley had something to do with it. Interestingly, Pawley went on to replace Robinson as "Steve Wilson" in the long-running and highly popular radio drama series, Big Town, in the 1940s.